Jamie Chandlee is the CEO of Rank & Style, a 12-year advertising industry veteran and a mom of two. 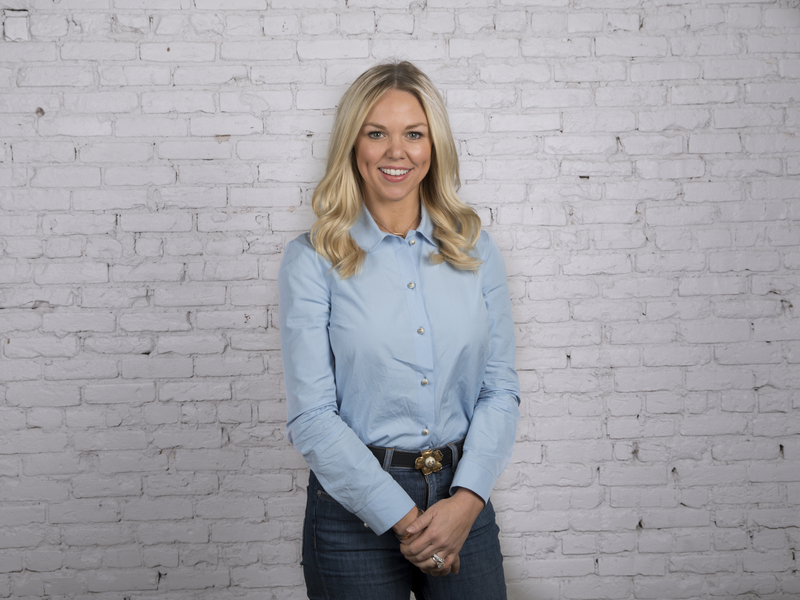 Prior to Rank & Style, Jamie was a leader on Facebook’s retail team where she helped brands connect with their consumers, so consumers in turn could make easier and confident purchasing decisions. As a busy working mom, Jamie developed a strong passion for technologies that simplify consumer experiences, so people have more time for the parts of their lives not behind a screen. Her vision is for Rank & Style to give people back the time that they waste digging through the endless fashion resources to find the products they like. Jamie is a graduate of The University of Texas at Austin and is grateful to be able to help people outside of the office through her participation in social impact organizations including The Seton Fund, Dell Children’s Medical Center and The Leukemia & Lymphoma Society. I’ve been working in the retail advertising world for a little over 12 years now as well as full-time mom of two youngsters. During my time leading one of Facebook’s retail teams, I really started to understand how technology really has the power to make consumer experiences like buying fashion much simpler. Then after having kids, I became really personally passionate about innovations geared at simplifying our lives. My kids put everything into perspective to me in terms of what’s important in life: offscreen, disconnected, totally present time with them. Career-wise, I then became determined to create something that could simplify not only my life but help others like me simplify theirs. It’s always so humbling and gratifying looking back at where we started. The funniest stage of our company probably was at the beginning when we were working out of our CPO’s home office, which was so chaotic, but also so awesome. We all quickly became very used to sharing desks, swapping parking with the neighbors and muting the dog barking on conference calls. But I also look back at it now and realize how incredible of a time it was in the way we really immediately connected with each other and grew as a team right off the bat more than if we hadn’t been in such close quarters. My biggest challenge happened earlier on in my career before having children at age 26, when I was diagnosed with Stage 4 Lymphoma. The mental, emotional and physical challenges that came along with that experience were at times unbearable, but that experience also gave me formidable strengths that I’m so proud to have. Six rounds of chemo and nine years later, I am so proud to be a survivor and grateful for the incredible life and opportunities I have now. To me, leadership is about empowering and enabling others by focusing on transparency, accountability and positive encouragement. I want my employees to know that I want them to achieve their goals, so I try establishing personal relationships with every individual to set up those clear and direct lines of communication, so they know I’m a close resource and part of their growth process. I’m fortunate enough to have a number of strong female leaders in my life who have been a source of continuous inspiration and really helped get me where I am today. One of my mentors and sources of inspiration from Facebook is Sheryl Sandberg who’s challenged me in very important ways at vital points in my career and also just has been such a powerful, formidable female leader who I look up to. A second individual very grateful for is Jennifer Erwin, who was my boss and mentor during my time working at D Magazine in Dallas. Jennifer was not only a professional mentor to me but became a very close personal mentor and supporter during my tough journey battling cancer. Work life balance is something I work on every day as I don’t believe there is a perfect formula that works for everyone, or one that consistently works for me as I evolve. One of the most important concepts that I learned early on is that quality is better than quantity when it comes to spending time with family and friends. We live in a world with limitless options and you can waste so much time researching and debating ways to do something, but as the CEO of a fast-paced retail technology company and parent of two, I pride myself in my ability to not overthink things and execute. I value my time at work and home and try to be as present as I can in both environments; when I’m at work, I’m focused on prioritizing and executing exactly what needs to be done that day and when I’m home, I turn my phone and devices off so I can be present and enjoying my family. The other key concept that is key to my balance is surrounding myself with incredible support systems, at work and at home, who I trust to delegate things to. Time is always the thing everyone wishes they had more of; we’re always fighting against time. As I’ve gotten busier both professionally and personally, I’ve internally really had to place a value on my time and determine which activities are most valuable. I can’t spend the same amount of time on certain activities like I used to, but I’ve realized that’s actually better. The less time I have to complete something, whether that’s at my company or with my kids, the more decisive I am and the more present I am making that decision and completing that activity. I’ve found the busier I am, the more I enjoy each moment as I appreciate it knowing it can’t last as long. And while I have less time for most activities as I’ve become more successful and my company has grown, being an entrepreneur gives me the flexibility to manage my schedule which allows me to navigate each day as I choose to. The five most important concepts to me when it comes to work life balance are organization, prioritization, transparency and direct communication, empathy and being present. Empathy and being present are the two more unique concepts I weren’t expecting to hold such importance to me when it comes to work life balance. Having empathy for your employees, your family and most importantly, yourself, is incredibly important when it comes to balancing your life as you’ll never have it perfect. You’ll have weeks you’re just not balancing life well at all, but it’s important to have empathy for yourself and understand it’s ok to not be perfect, and just focus on trying to be better moving forward rather than spend time getting mad at yourself. And the concept of being present, as I also mentioned earlier, is crucial for professionals trying to balance their busy lives; you can’t succeed without really embracing and taking in each moment, each conversation, each meeting, each family dinner, etc. Professionally, witnessing our team achieve goals and seeing their excitement that comes with that is by far the most rewarding feeling for me as their leader. And personally, the most rewarding feeling is being able to see my growing kids be happy, healthy, curious and excited little humans. I think when it comes down to it, the most important thing in my life is the happiness of the people in it; whether that’s my kids, husband, employees, colleagues, friends, etc. We live in a very exciting time right now in terms of raising awareness of female-focused initiatives. As a female business leader and as a student, I’ve struggled with gender-based discrimination at many points throughout my life. I think our gender polarized society has created a competitive environment for women where we always are comparing ourselves to other women, which unfortunately results a lot of the time in unkind behaviors instead of supporting each other. I would love to help contribute to the women’s movement now with a specific focus on helping women be more supportive of each other starting at a young age; whether that’s through efforts focused on eliminating social media bullying, refocusing the intention behind social media to be more on authenticity vs. showcasing a “picture perfect” life or working to help companies develop programs that emphasize the importance of employees lifting each other up vs. competing for success. Life is short and we as humans need to support each other regardless of differences. Find me on LinkedIn at https://www.linkedin.com/in/jmerendino/ and on Instagram @jamiechandlee.